This year’s Oscar-nominated Live Action Shorts are a bit of a downer. They’re heavy films. Grouped together, they make for a rather dreary film experience. The films all bring worthy subject matter, though, which helps one differentiate from the current of sameness that runs throughout some of these five nominees. There’s no clear standout, but there’s much to admire… even if the shorts are more to be admired than enjoyed. Ave Maria (Basil Khalil; Palestine/France/Germany, 15 min.) offers the lightest entry in the bunch, so it’s too bad that theatrical screenings of the shorts have it at the beginning. The shorts might be better served overall by using the droll and incisive dramedy as a breather between more sombre films. The film satirizes the traditions that religion breeds as a family of Jewish travellers crash lands into a nunnery in Palestine where the Catholic sisters live under a vow of silence. They struggle to communicate, but find common ground by learning to be pragmatic about their traditions. Moshe (Shady Srour), the male of the Jewish family, brings his own rigid observation of tradition to the mix by refusing to touch machinery, like a telephone, while asking for help. The film uses the collision of cultures to offer a fun, light, and observant story that’s much sunnier than most films within the controversial area, and much of the credit goes to the spirited cast members, who bring out the farcical elements of the situation by playing it with the utmost seriousness. The down-to-earth comedy captures the complexity of Palestine’s diverse landscape with wonderful humour. There isn’t much to laugh about in Shok (Jamie Donoghue; UK/Kosovo, 21 min), which is an unrelentingly grim tale inspired by true events from the Kosovo War. The film has earnest intentions as it gives a story of two young boys experiencing their culture at a time of change. The country’s revolution is like a rupture of their own adolescence and the boys learn that their differences are minute in the grand scale of conflict. Strong performances by the young actors add to the artistic accomplishment of the film, but Shok is emotionally manipulative, especially in its final frames. It doesn’t find redemption by the end of its long and gruelling journey. Ditto the nominee Day One (Henry Hughes; USA, 25 min. ), which features one hell of a performance by Layla Alizada (who will inevitably go on to better things) as an interpreter in the US Army who must deliver the baby of a suspected bomber on her first day of work. The film seems terribly contrived even if it draws inspiration from life. The delivery doesn’t quite do the subject matter justice. Everything Will Be Okay (Patrick Vollrath; Germany/Austria, 30 min. ), similarly, is an exhaustingly bleak drama. However, it’s worth the struggle. This domestic thriller sees a family on a breakdown as a father (Simon Schwarz) spends the day with his daughter (Julia Pointner) and takes her on a trip for quality alone time. 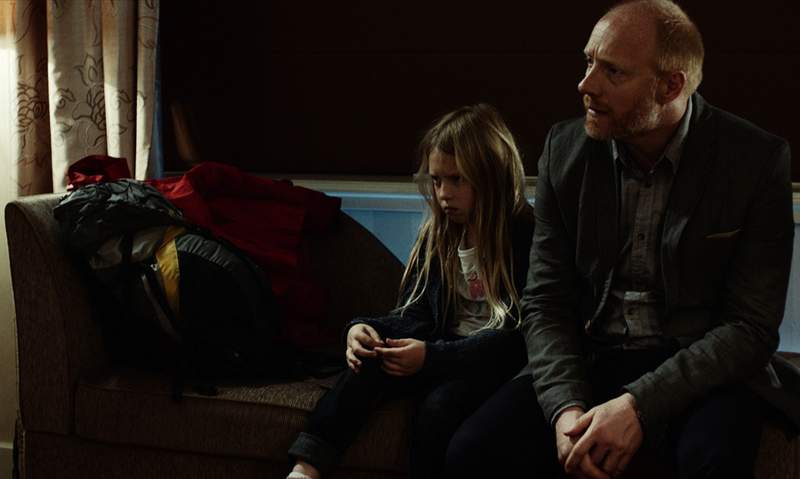 The pleasant outing ambiguously devolves into something devious, as writer/director Patrick Vollrath shrewdly withholds information as the day progresses. The film uses the ambiguous action to put the viewer in the mind of the young child, and the film quietly finds its power by revealing the situation in a slow simmer. Everything Will Be Okay is tautly constructed and superbly acted, especially by young Pointner as the girl in unsuspecting peril. The film evokes memories of 2013’s Oscar nominee Just Before Losing Everything, which delivers a similarly riveting family drama in thirty minutes, and has the tone and chilling tenor of a Michael Haneke film. It’s very powerful and arguably the best-rounded film both aesthetically and thematically. 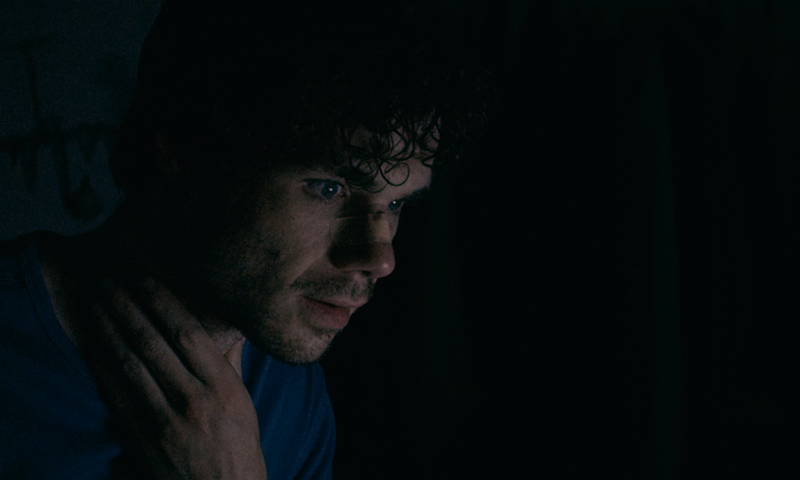 By comparison, The Stutterer (Benjamin Cleary; UK, 12 min.) is lighter, warmer, and breezier, but also slighter. This nice short offers a welcome breather in the selection with a tale of digital dating in which a young man (Matthew Needham) with an awful stutter finds solace in chatting with a ladyfriend over Facebook. Needham gives a wonderful performance by silently bringing spark and life to his character with silent skill, while the film offers a series of handsomely composed portraits that let the actor endear the stutterer to the viewer. The Stutterer looks exquisite and has a wonderful visual sense, so it’s a shame that it relies so heavily on voiceover narration as the leading man rambles in an internal monologue that speaks with perfect cadence and diction. When he opens his mouth, it’s like The King’s Speech all over again, and writing his way to romance lets him find his voice. It’s a sweet little film in a bleak bunch. The Oscar Live Action Shorts are playing in Toronto at TIFF Lightbox. They open in Ottawa at The ByTowne on Feb. 12.